I like to think of this film as the “Scooby Doo” version of Friday the 13th movies. It picks up with little Tommy (Corey Feldman!) walking in the rain. He stumbles through the woods and comes upon the grave of Jason. Suddenly, two hooligans come into the clearing and do the things hooligans do. You know, dig up the graves of mass murderers and stuff. But boy do they get a shock. Jason gets up out of his grave and kills them. And worse-he sees Tommy! So he starts to chase him. Finally Jason catches up and lifts his machete and WAIT! It was all a nightmare! Tommy has grown up to look nothing like Corey Feldman. Tommy (Not Corey Feldman!) has apparently been in and out of institutions over the years. Apparently cutting someone up into pieces can make you unstable. Who knew? So he gets transferred to a halfway house for troubled teens. And boy are they troubled. There is the kid who stutters. The red headed girl. The fat kid. The punk/goth chick. The horny couple. The black kid (to be fair, he is the groundskeeper’s grandson). Oh, and the crazy, homicidal axe wielding angry kid. The last guy gets annoyed with the fat kid when the fat kid offers him a chocolate bar. So he does the reasonable thing and chops him up into little pieces. And the poor dead fat kid. There is no one to mourn him, because no one likes fat kids. His mother died and nobody knows who his father is. Well, the paramedics come and haul him away. There is additional trouble in that the local angry hick and her son keep harassing the Halfway house residents threatening to kill them. But she is okay, she is just eccentric, right? So, as the time passes, people start getting killed by a hockey masked killer. Has Jason returned?! Tommy thinks so, he sees Jason everywhere. And so do Jason’s victims. Lots of beheading, impaling and other gruesome deaths ensue. That wacky Jason. But hey, people are starting to suspect Tommy. Tommy does not talk much, and we all know people who are quiet are cauldrons of homicidal rage (you did know that…RIGHT?). Pretty soon Jason has offed everyone but the black kid, Tommy and the Hot Woman in charge of the halfway house. Now, normally, the minority is dead by this point, luckily for him he is about thirteen, meaning he gets to live. So he and the Hot Woman find all the dead bodies and then see Jason, who they think is really Tommy. Jason tries to kill them, but they are pretty crafty. Finally, Jason chases them into one of the many generic barns on Crystal Lake. And boy are they shocked…Tommy walks up. MAYBE IT IS JASON!!! Maybe Tommy is right. He has an old fashioned stare down with Jason. Of course, since Jason is wearing a hockey mask, he could be blinking a mile a minute. But Tommy will never know. Jason finally tries to kill Tommy with his machete. Jason has pretty bad aim all of the sudden, and nicks Tommy. Tommy runs and climbs the ladder in the barn. Jason follows them up to the hay loft for a battle royal. He rushes after the Hot Woman and she dodges and causes him to fly over the edge. Everyone is relived as they sit close to the edge of the door. SHOCK! Jason grabs the leg of the black kid. Threatening to take the kid with him, Jason now seems to have a chance. But not if Tommy has anything to say about it. He takes the machete and chops off Jason’s arm. Jason falls to his death, getting impaled on some farm equipment. That’s when we see he is one of the paramedics who wheeled away the fat kid. See, it turns out that he was the fat kids father, and this sent him into a homicidal rage. Oh, sure, he could not be counted on to be a parent, but dammit, don’t hurt his flesh and blood. And he would totally have gotten away with it if not for those pesky kids. 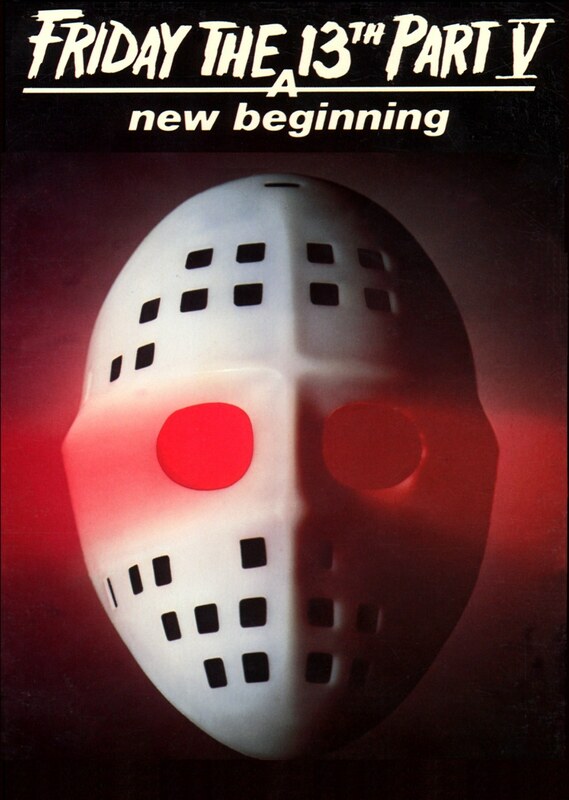 The film is an attempt to restart the series, but it did not excite fans to find out Jason was not Jason. And beyond that twist (which it is hard to be a real twist when it could not be Jason) there is nothing fresh here. Unlike previous entries (where Jason’s look keeps changing…in two he has long stringy hair. In three? Completely bald) there is no real continuity to worry about, yet they do not take advantage of this. Instead everything is by the numbers. The film lacks any imagination.